Unemployment in the U.S. rises to 4% in June. Wage inflation grows by less than expected. US Dollar Index looks to end the week below the 94 mark. 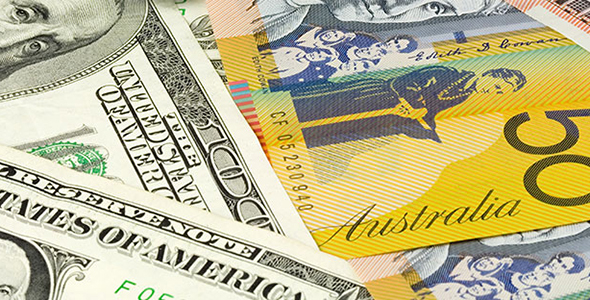 The AUD/USD pair advanced to a fresh two-week high of 0.7445 after the mixed NFP report from the United States but struggled to stretch higher. As of writing, the pair was trading at 0.7425, adding 0.5% on the day. Today's crucial employment data from the United States showed that nonfarm payrolls grew by 213K in June to surpass the market expectation of 195K. However, amid a surprise increase in the labor force participation rate, the unemployment rate rose to 4%. More importantly, the wage inflation stayed unchanged at 2.7% on a yearly basis to miss the experts' estimate of 2.8%. Although the CME Group FedWatch Tool's September rate hike probability came within a touching distance of 80% after the data, the greenback met a new selling pressure and dragged the US Dollar Index to its lowest level since mid-June at 93.66. At the moment, the index is down 0.4% on the day at 93.75. On the other hand, major equity indexes in the United States started the day slightly higher. However, with the trade war uncertainty weighing on the market sentiment, risk-sensitive assets could have a difficult time finding more demand in the remainder of the session. The pair could encounter the first technical support at 0.7400 (psychological level/20-DMA) ahead of 0.7360 (Jul. 5 low) and 0.7310 (Jul. 2 low). On the upside, resistances align at 0.7445 (daily high), 0.7500 (psychological level/50-DMA) and 0.7580 (100-DMA).